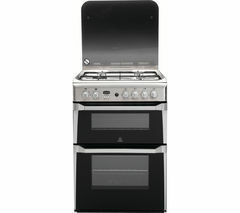 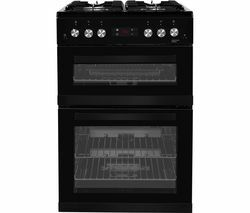 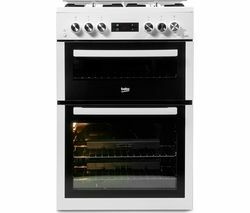 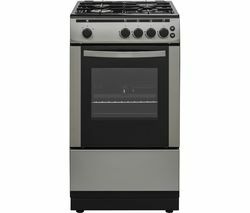 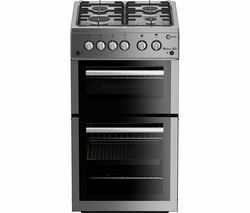 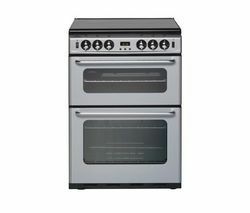 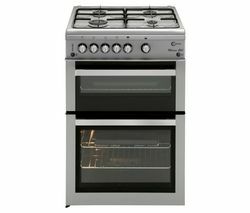 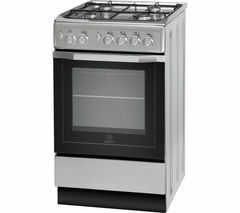 The Flavel FHLG51W Gas Cooker combines a 4-burner gas hob, a separate high level grill and a spacious 51 litre oven – bringing complete cooking convenience.Cooking complete 4 gas burners provide immediate, accurate heat so you can take control of your cooking to create the perfect dish. 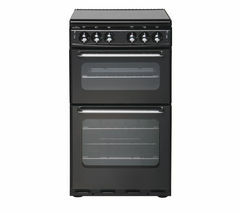 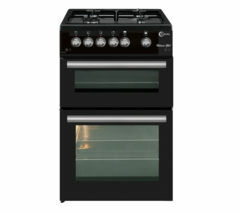 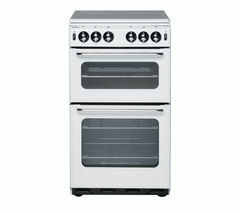 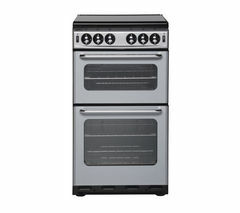 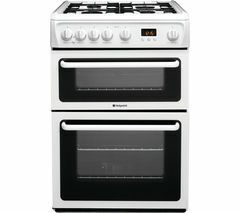 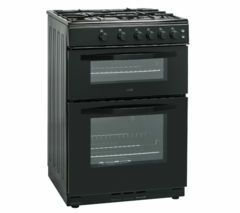 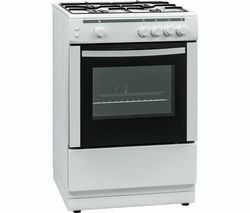 A medium sized 51 litre oven also gives you ample room for cooking several dishes at once, saving you time and energy. 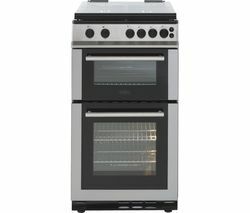 A high level grill gives you great handiness when cooking up a tasty cheese on toast snack. 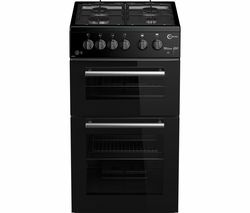 The grill is neatly located above the hob allowing you to keep a close eye on the grilling while cooking on the hob.Keeping things safe The Flame Failure Device ensures that the gas is immediately cut out when the flame goes off for extra safety and peace of mind. 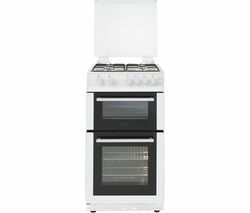 A viewing window means you can watch the progress of your food while the double glazed glass efficiently traps in the heated energy.Simple cleaning An easy-clean enamel interior makes it quick and simple to mop up spills so you can keep the Flavel FHLG51W in top condition with minimum effort. 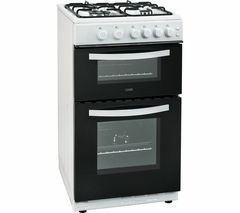 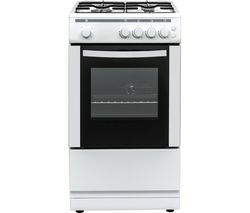 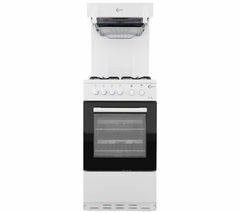 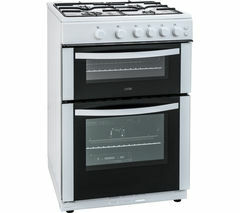 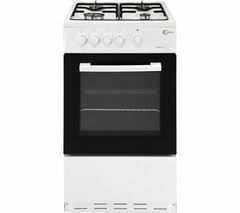 Cook up a creative feast with controlled gas cooking with the Flavel FHLG51W Gas Cooker in white.